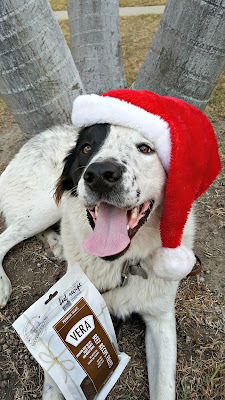 Christmas is almost here and our pets deserve presents too! Luckily, I have been able to treat them a variety of treats, being a True Science Ambassador. 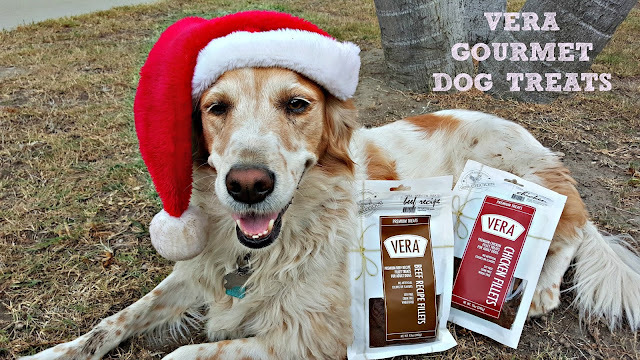 Every month, my fur-babies get spoiled with different delicious choices and I am happy to say, VERA Gourmet Dog Treats don't look or smell like dog food! YAY! In fact, if I saw it next to beef jerky, I wouldn't know the difference. I found that VERA dog treats make a great reward for my 4-legged kids but be careful, the treats can be high calorie(50 calories each) if fed too much. A little breaking up and it worked great. My dogs can be picky but they dove right into these treats. If for any reason your dogs do NOT like them, the treats are 100% guaranteed. Return the unused portion at Petco. Where can you find them? ONLY at Petco OR win them HERE! WIN VERA GOURMET DOG TREATS BELOW!